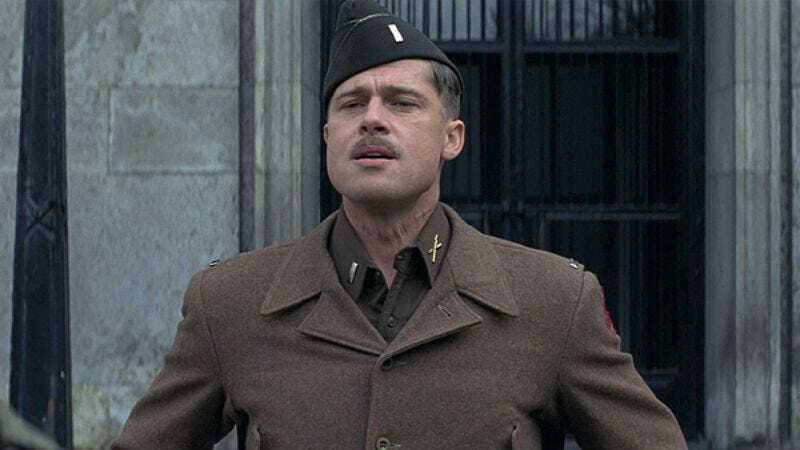 Though he always manages to find time for goofier fare like World War Z or Happy Feet Two, Brad Pitt currently seems to prefer acting in movies that allow him to show off his dramatic chops and ensure he has a seat reserved at the various award shows. Now, following in the footsteps of Benjamin Button and Moneyball’s Billy Beane, the L.A. Times is reporting that Brad Pitt could soon be adding playing General Stanley McChrystal to his résumé. For those who don’t recall, McChrystal was the commander of U.S. forces in Afghanistan, until a profile in Rolling Stone revealed his disgust for the Obama administration. McChrystal was subsequently forced to resign—though he will now be played by Brad Pitt in a movie, which isn’t exactly the harshest penalty for publicly saying that he hates his boss. Pitt will be star in and produce The Operators, a film from Australian director David Michod and based on the book of the same name by journalist Michael Hastings (who died last year). Though Benjamin Button and Billy Beane are certainly divisive figures among fans of baseball and traditional aging, McChrystal seems even more controversial. At least we can all look forward to the think-pieces.